Bermuda Limousine understands your Corporate Road Show and Convention transportation needs. We offer the best road show and convention limousine, luxury sedan or SUV service. Our experienced professionals will ensure that your vehicles are on schedule and all transfers are seamless. We are dedicated to ensure complete flexibility and seamless execution no matter what challenges arise. We deliver premium service at superior value. Our company Fleet consists of new and luxurious Mercedes S550, Executive Lincoln Town Cars MKTs, Corporate Cadillac DTS sedans, Executive Chevy Suburban and Cadillac Escalade SUV’s and Lincoln MKT Limos for any occasion. In addition for group travel we also offer our Mini-Motor Coach and Motor Coach options that can accomodate from 25 to 58 passengers. No matter how complicated your road show or convention transportation requirements are we can help you solve all your transportation problems. Conventions and road shows are seamlessly managed from start to finish by a team of specialized professionals, dedicated to providing you with precision planning service. We are available 24 hours a day to offer best services; our team has been highly trained to deal with the fast pace and constant changes. We offer our premier Bermuda Limousine International services to meet your unique needs. From pre-planning, to communications, to amenities, to constant monitoring of the event, we provide you and your travelers with a stress-free and successful experience. We offer chance to experience complete luxury with us. If you or your company is interested in our services, please give us a call at 1-800-223-1383 or book online. 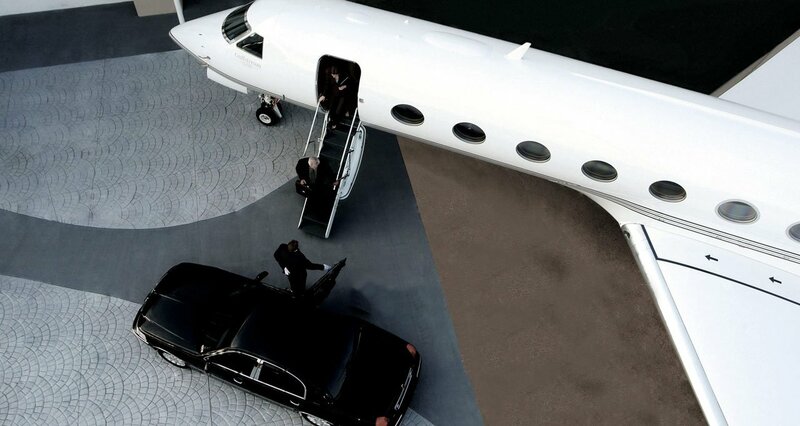 SERVICES: Corporate Transportation, Corporate Group Transportation, Executive Chauffeured Service, Road Shows, Convention Transportation, Hourly Charters, Event Management, Private Aviation Service, Chauffeur Only Service, Elderly Transportation, Special Occasions, Airport Services, Tour & Sightseeing, Point-to-Point Service, and Private School Transportation.